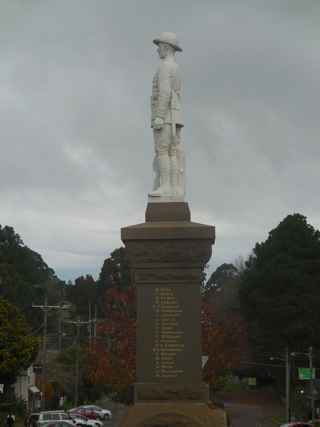 The War memorial standing in the centre of the rural town of Dorrigo, New South Wales was unveiled in April 1921 and is inscribed with the names of the 43 men from the area who died during WW1. The names of soldiers from WW2 were added towards the end of 1947. The GPR holds 69 person records for the war memorial.